What is an internet radio? The internet radio is an audio streaming service that is broadcast and transmitted through the Internet. The internet radio also known as online radio or web radio or e-radio which broadcast and streaming live over the internet. The internet radio has been around since the early 1990s. The WXYC internet radio station or WXYC 89.3 FM radio was the first internet radio station in the world broadcast its college radio format live over the internet directly from North Carolina, USA, since 7 of November 1994. In order to listen to the internet radio, a special software known as audio streaming software need to be installed on your computer such as Adobe Flash Player, RealPlayer, Win Amp Player and Windows Media Player software. RealAudio Player or RealPlayer was the first audio streaming software was developed by Progressive Networks or previously known as RealNetworks in 1995. Virgin radio located in the UK was the first European radio station streaming its audio live on the internet in March 1996. Since then, many radio stations start to simulcast their program over the internet or stream their on-air signal live on the internet simultaneously. Some of the internet radio stations program are available over the internet non-stop 24 hours a day and 7 days a week and some of them are available over the internet only for few hours. Streaming audio formats usually use modem audio codecs such as MP3, Ogg, WMA, RealAudio and AAC/AAC+ (HE-AAC/AACPlus). The MP3, WMA and ACC+ streaming audio formats are currently the most popular online and frequently used. Nowadays, the internet radio revolution has changed when the Wi-Fi internet radio created or the Wi-Fi internet radio receiver which plug into the radio device has been developed. This gives another alternative options for the listeners to listen to their favorite internet radio station without to switch on their computer or without the use of a web browser. The Wi-Fi internet radio could access the internet anywhere in the world through a wireless link with Wi-Fi enable broadband connection or a broadband router with built-in Wi-Fi. Today, there are thousands of radio stations around the world broadcast and streaming their full program live on the internet which covering various types of genres to their worldwide audience. 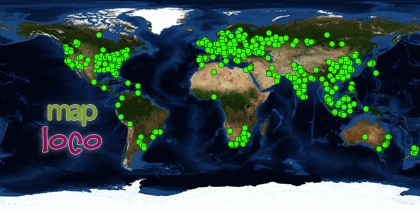 The internet radio could be accessible anytime and from anywhere in the world. However, due to the copyright act restrictions, some of the internet radios are only available to its listeners in certain countries but not available to the other audience in other countries.